American Development Co.: Can Foreigners own land in México? Can Foreigners own land in México? The Mexican Constitution, passed in to law in 1917, created what is called the "Restricted Zone". This Restricted Zone is 100 kilometer (62 miles) from the borders and 50 kilometers (31 miles) from the coast. And in this Restricted Zone only Mexican can own the land. Enjoy with your family the splendor of the Mayan Riviera by investing in our exclusive Residential properties for sale in Playa del Carmen. 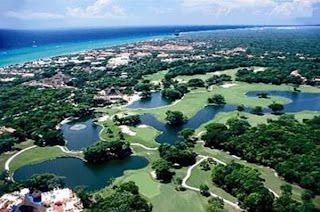 These Exclusive Residential Properties are only three miles away from downtown Playa del Carmen, with main access to the Federal Highway in the Cancun-Tulum.It targets high-end residential, commercial and condominium-hotel developers, and follows established construction regulations in all areas within this real estate development in the Riviera Maya. Who is visiting the Riviera the most?